Naturalpaint brings to Romania an innovative product, very important for the green building market. The product Thermo-Hanf based on hemp is manufactured in Nordlingen/Bayern, Germany. It is a perfect solution for the attic, between the rafters, and also for the exterior walls. The thermo-technical properties are impressive. The U value for a thickness of 120 mm is 0.28 [W/m2K]. For the same thickness, the polystyrene plates have the value 0.40 [W/m2K]. Besides the technical aspects, Thermo-Hanf has obtained numerous certifications from the authorities in Europe and Germany. Being 100% environmental friendly, the embodied energy is minimum 50-90 kWh/mc , on the other end is the insulation based on wood fibers, 600-1500 kWh/mc. Talking about CO2 emissions, Thermo-Hanf wins again, having a positive balance. The storage potential for cubic meter is 58,5 kg CO2, and for manufacturing a cubic meter 45,75 kg CO2/mc are released. RoGBC and biblionet make next step in EcoBiblioteca project. 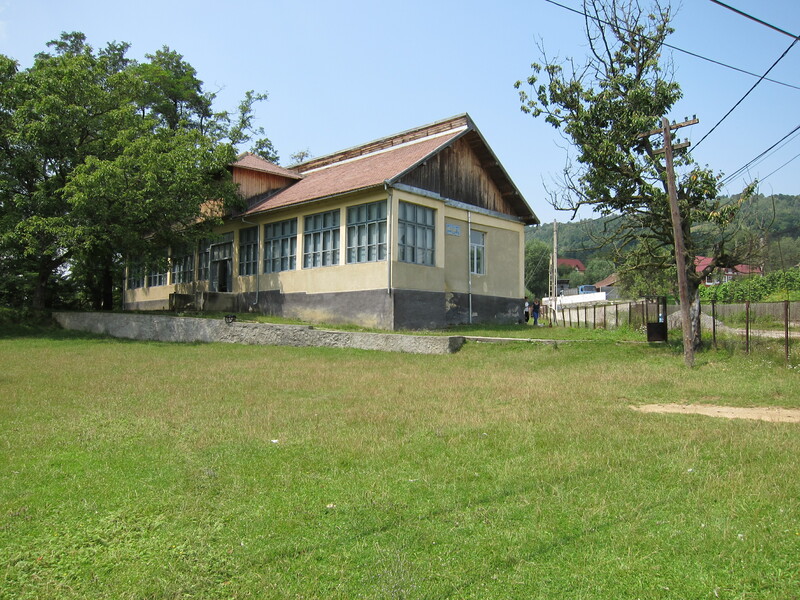 Our project to select and renovate, in a very green way, one of Romania’s libraries is off to a great start. We have narrowed the proposed libraries to five in Perisani – Valcea; Farcas – Dolj, Cacica – Suceava, Dragotesti – Gorj si Ulies – Harghita. The RoGBC is partnering with Biblionet (www.biblionet.ro); an excellent organization that is bringing innovation to Romania’s libraries with, among other activities, providing training and installing computers in their facilities throughout the country. The main objectives of Biblionet include improving access to information, training and capacity building for public librarians, improving government support for libraries and promoting the value of libraries. We have co-organized this contest where the winning library will receive a “green renovation” to significantly improve the design, energy performance, lighting quality, indoor air quality, and comfort of the building. The project will encourage use of the library as a community space increasing visits and participation by the citizenry. Our confirmed partners to date include Corporate Office Solutions, InterfaceFLOR, B Lighting, WSP Romania, and Dexion. More discussions with potential partners are underway and we are confident we will have all the necessary participants to open an exemplary, green library on the October 22nd completion date. A message went out to all RoGBC members at the end of July; please review or contact our office if you would like to get involved in this or other projects. Next steps include the selection in mid-August of the library to be renovated and the integrated design session with all project stakeholders to ensure we maximize the results of this ambitious project. Please keep checking back for updates on our progress! VELUX Romania is organizing a contest that rewards the best architecture made in Romania in the last 3 years (2008 – 2010) by architects or designers who have used VELUX products. By promoting its products and their utilization, VELUX Group wants to encourage and contribute to a new type of durable architecture. We would like to draw the attention towards a holistic view – SUSTAINABLE LIVING. The buildings must be designed in order to satisfy basic human needs, increase health and daily well being through natural light and fresh air with a preoccupation for durable energy sources including solar thermal energy. The contest is open to professionals from the architecture field, students and graduates from architecture or interior design. The participants can enter the contest individually or in a team. The participants agree that all the materials sent for the contest can be used in the contest catalogue and other materials printed by Velux Romania, always mentioning the author. The judging will take place end of September and will decide the winners of the awards for the 3 sections of the contest. The results will be announced during the Awards Gala which will take place on October 2nd in Brasov. The deadline for contest registration is September 15th, 2010.